I’m excited about celebrating Shabbat on Friday nights at CBI again! And, I’m aware that we haven’t had regular Kabbalat Shabbat (“Receiving Shabbat” or “Welcoming Shabbat”) services in a few years, and that it would be nice to refresh everyone’s memory on some of the melodies we use. Here is an online folder which contains the five mp3s – you are welcome to listen to them online or to save them to your own computer. And, of course, please support the artists by buying their music on iTunes or Amazon or via your favorite music-buying source! As you may know, we’re bringing Friday night Shabbat experiences back to CBI! Starting this fall, we’ll be experimenting with different Friday evening celebrations (services, potlucks, and/or joint potlucks-and-services) on the first Friday of every month. However, the first Friday of September is Labor Day weekend when a lot of people are out of town, so we’re kicking off our Friday night / Kabbalat Shabbat adventures a week early — this Friday, August 28, when I will welcome a special guest to the bimah. This coming Shabbat we will be hosting Rabbi David Markus of Temple Beth El of City Island, who (with me) serves as co-chair of ALEPH: Alliance for Jewish Renewal. On Friday night there will be a vegetarian potluck supper at 6pm (please RSVP for that – office@cbiweb.org) followed by a Kabbalat Shabbat / Welcoming Shabbat service at 7pm. The two of us will also partner in leading Shabbat morning services, where Rabbi David will offer the d’var Torah. 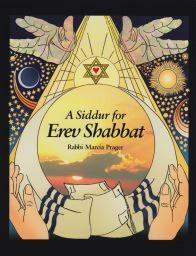 We’ll daven on Friday night using Rabbi Marcia Prager’s wonderful Siddur for Erev Shabbat, which features meaningful translations as well as beautiful poetry and images. On Friday night you will also be treated to a special story from our education director, Maggid (Storyteller) David Arfa, about the wonders of this month on the Jewish calendar, the lunar month of Elul. Please join us for any and/or all of this coming weekend’s special Shabbat experiences: vegetarian / dairy potluck at 6pm on Friday (and please RSVP to the office so we know how many people to set up for! 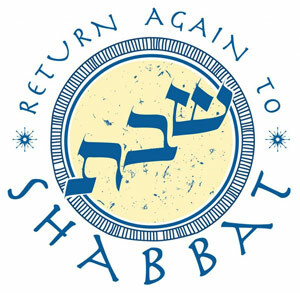 ), Kabbalat Shabbat services at 7pm on Friday, and Shabbat morning services at 9:30am on Saturday. Shavua tov! Looking forward to Shabbat Ki Tetzei… and a special guest this Shabbat! And here’s the URJ’s compilation of commentaries on this week’s Torah portion: Ki Tetzei | URJ. Bringing Friday Night Shabbat Back to CBI! ￼We’re bringing Friday nights back to CBI! Here’s the schedule for our first six months of Friday night Kabbalat Shabbat services and/or Friday night potluck dinners. Save the dates and join us! Our first one will be next weekend (Aug 28); after that, we’ll meet on First Fridays. Join us as we greet Shabbat with joy. Shavua tov and chodesh tov! Looking forward to Shabbat Shoftim. Shavua tov – a good week to you! And also chodesh tov, wishing you a sweet new month, as we have entered into the lunar month of Elul. 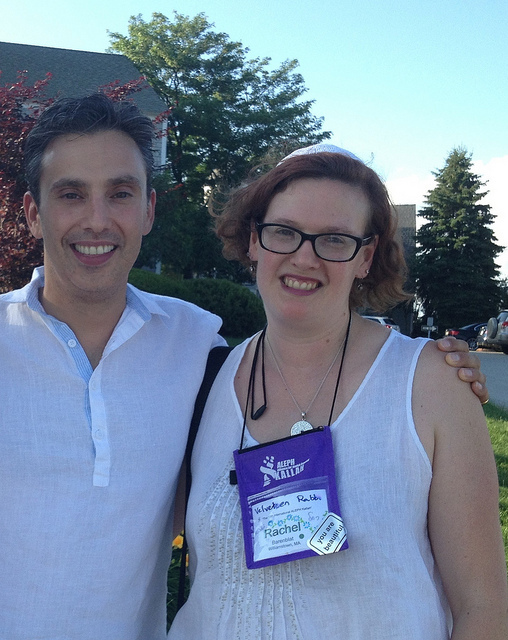 And here’s the URJ’s compilation of commentaries on this week’s Torah portion: Shoftim | URJ. From the moment I looked up at the heavens I was awestruck by the sheer number of stars. And I thought to myself: even if I don’t see any meteors, dayenu, it’s enough, because this is so beautiful. And then I saw one streak across the sky, and it was amazing. I know that we are blessed to live in a place that doesn’t have a lot of “light pollution” — where we can turn off our lights and really see the night sky. And I know that the reason the stars were so visible is that there was almost no moon. Because this weekend is Rosh Chodesh — new moon. Now the moon starts growing again. This is one of the things I love about being attuned to the Jewish calendar: it means I’m also always attuned to the phases of the moon as she waxes and wanes. Rosh Hashanah is four weeks from this Sunday. Maybe for some of you that doesn’t sound like a big deal. So what? You’re not writing sermons or preparing services, so does it really make a difference to you? I want to say today that it can make a difference — and I hope that it will. Our tradition teaches that this is a month during which we should deepen our spiritual practices, whatever they may be. This is a month during which we look back on the year now ending. Who have you been, since last Rosh Hashanah? What are you proud of, and what do you feel ashamed of? When were you the best self you know how to be, and when did you fall short? How’s your relationship with God these days — whatever that word or idea means to you? If we spend these next four weeks in introspection, discerning where we may have mis-stepped and where we forged a wise path, then when we get to Rosh Hashanah we’ll experience those two days of prayer and song and story in a different way. One Hasidic teaching holds that Elul is the time when “the King is in the fields” — when God leaves the divine palace on high and enters creation to walk with us in the meadows and listen to the deepest yearnings of our hearts. God is extra-available to us this month. What do we most need to say? Another Hasidic teaching points out that the name of this month, Elul, can be read as an acronym for Ani l’dodi v’dodi li — “I am my Beloved’s, and my Beloved is mine.” The Beloved, in this context, is God. We belong to God, and God belongs to us, and what connects us is love. The stars are there every night, but we can only see them when there are no clouds and when the moon has dwindled. The opportunity to do the work of teshuvah, repentance / return, is there all year long — but some seasons of the year offer us special opportunities to see ourselves in a new light. This is a time of month when the night sky is filled with tiny lights. And this is a time of year when we can open our hearts and souls to the light of God’s presence as we do the work of discernment and transformation. Imagine what we might see in ourselves if we take the time to let our eyes adjust. Here’s to a meaningful Elul.